Designed for continuous removal of tramp ferrous material from the product stream, this Permanent Magnetic Overband Separator is an ideal device to invest in. Jupiter Magnetics Private Limited is the name counted among the most popular Permanent Magnetic Overband Separator Manufacturers in Delhi. It has a pole-mounted speed reducer, coordinate drive engine and movable tanks are a few features that ease its performance and ensure great results. The use of a permanent magnet in Suspended Overband Magnetic Separator ensures huge saving in power consumption and bills. Perfectly welded and encased with SS Material. Ensure easy and simple installation and operation without disturbing the existing process line. Can be customized according to match conveyor width. Made of the best material and technology and ensure long serving life. Paper and Pulp Industries etc. If you are interested to buy or want to place your order for the same, go nowhere and come straight to us. 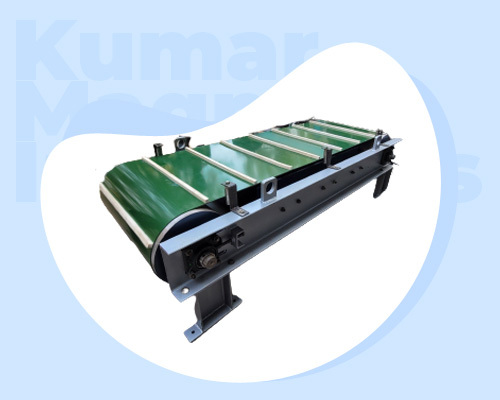 Being one of the most zealous Overband Magnetic Separator Exporters and Suppliers In India, we guarantee that the final product delivered to your doorway will not disappoint you in any manner. For any further enquiry you have, drop us a line. Our executives will be happy to assist you.